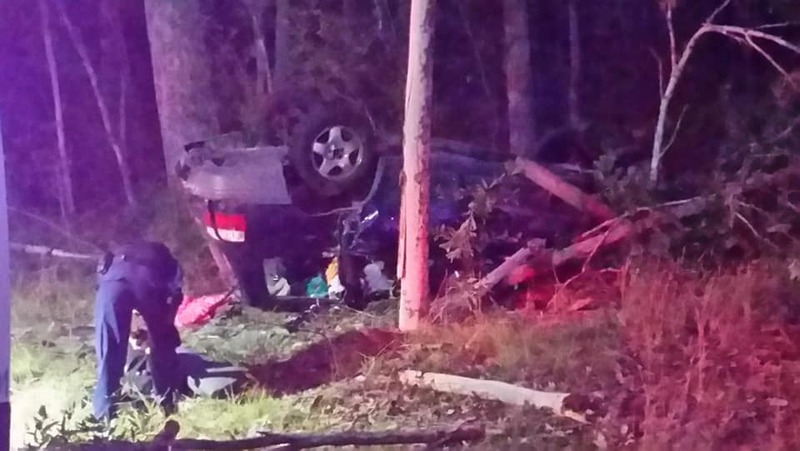 There was an incredibly lucky escape for a man on the Summerland Way south of Casino last night, after the car he was driving left the road and crashed into bushland. 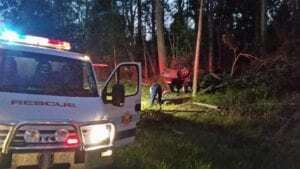 Emergency services were called to the scene at Myrtle Creek, near the intersection of Main Camp Road in the early hours of Sunday morning, when they found the upturned vehicle. 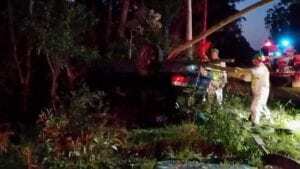 The male driver, who was the only person in the car, managed to remove himself from the wreck. He reportedly only suffered minor injuries. 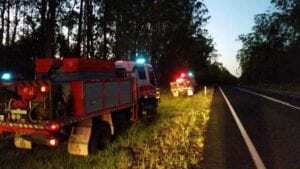 The crash triggered a large response from local emergency services, including Casino and Rappville RFS, along with Volunteer Rescue Association, Police and Ambulance.